How much is a 1.1. carat cut diamond worth? I have a 1.1 circle cut, good quality diamond. How much would I be able to sell it for, and where can I get the most money for it? A round 1.1 ct diamond, depending on color and clarity, varies tremendously from $500 to $15,000(wholesale). A top quality diamond’s cost would be about $15,000 wholesale if it were certified F/D quality (flawless/colorless) by GIA. 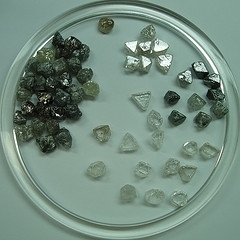 Most diamonds sold in today’s retail stores are SI/GH in quality. An SI-/G-H (slightly included/near colorless) at that size would wholesale for about $3500-$5000. Because of such stiff competition in the jewelry market today, many larger diamonds will sell for as little as 3 percent markup, although retail replacement insurance cost of diamonds are much, much higher than that. All jewelers buying previously owned jewelry and gemstones look at the price of an item’s wholesale cost then figure the buying cost from that. Pawn shops will usually buy at 20 percent of the wholesale cost since many pawn shops sell well below wholesale value. Estate jewelers can pay more, but your best bet is to either find a jeweler dealing in consigned jewelry and sell it through them, or get an appraisal from a certified GIA gemologist/appraiser and sell it yourself through craigslist or through your local newspaper. Generally you should expect less than half of the appraisal value when re-selling jewelry/gemstones depending on what type of appraisal is done. This entry was posted in Glittering Diamonds and tagged carat, diamond, gold, jewelry, pendant on October 29, 2009 by admin.